Business debt is taken by an entrepreneur to use in funding huge purchases that they would not be able to afford under normal conditions. A debt arrangement means that the borrower is given money under the condition that borrowed money will be paid back at later dates. The majority of the time, this is paid back with high interests. There can be different types of loans. Debt can be issued either to an individual borrower or to a business. A service company is also a business, however it provides services instead of physical goods or products. There are various categories of service companies. An accounting firm, which performs audits of other companies, prepares income tax returns, and provides bookkeeping services to another company, is a good example of a ‘service company’. Bankers and lenders will be more than interested to provide loans with interest to your service company. They will ask for your personal guarantee of a debt. This debt will work like a handcuff for you. Even if your service company fails, the lenders have all rights to receive the money back for the loan from you, personally and legally. A few of these lenders who give away loans to small sized businesses will take payments from your business checking accounts. On a big scale, if a service company is growing fast and a small loan is taken with a low interest rate, it is not necessarily a bad thing to do. An affordable debt is a good choice in certain cases when running a service company. But, consider all pros and cons before the initiation of a loan taking process. Do not mix your personal finances with your business account. Start paying for the things you need, not want. Sacrifice the fast track for slow growth. Many entrepreneurs want to grow their businesses by leaps and bounds in no time. 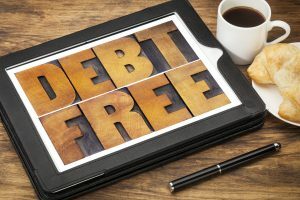 A small service company will grow more slowly without debt, but a debt-free business is still a better option. Never miss a chance to pick customers who give gross margins to your service company. Know the exact cost of the services you provide to your customers. Never compromise on the price or your company will either dissolve or will go into debt. Keep a strong handle on your business bookkeeping. Business operations must be routinely carried out for all companies including service companies. Keep all accounting statements up to date and know where you stand at all times. Never spend all of your gross and profit margins. Fix a percentage of 30-40% of gross margin and 10% profit margin. Only spend in this range from gross margins. Do not distribute profit all at once among shareholders. You will need much of the cash to fund the growth of your service company. Stay sharp with your business situation. Use accounting software to keep an up to date accounting system. Credit cards should be minimally used in small-sized businesses as the loans will pile up quickly. Do not select your prices out of fear of going into debt. Know the actual cost of the services you provide and price accordingly. Overpricing may become a cause of losing customers. Company leaders must be efficient, smart, and confident in sales, good at interpretation of accounting statements and fair to their employees. Such a service company will grow successfully. Bigger is not always better. A debt-free and profitable service company is better. Service company owners must keep the debt financing option as the last priority and when it is actually needed. Debts halt the growth of small businesses. A service company ideally needs no debt to get started. Without debt, the growth of the business may possibly be slower but it will still be profitable. Using valuable strategies and techniques will grow your service company debt free.